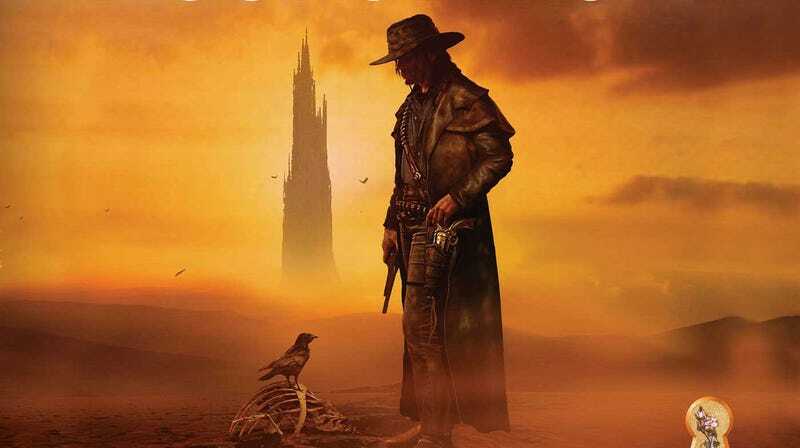 The Dark Tower series is a moving forward at Amazon. The movie version of The Dark Tower fled across our memories, and the new Amazon television show followed in its path. But some news today has refreshed our excitement once more. After months of rumors and speculation, Deadline now reports that Amazon has cast Sam Strike (Nightflyers) as the new Roland Deschain, aka the Gunslinger, in its TV adaptation of the Stephen King book series. Jasper Pääkkönen (Vikings) has also been cast as Marten, one of the many aliases of the Man in Black. And, if you know the story, the fact that he’s playing that character means this is not an adaptation of the first book in the series. It’s set in the past, showing Roland as a young man, learning the ways of the world and becoming a Gunslinger. This is such huge news for fans of the King novels. We’re finally going to get a version of The Dark Tower that’s not rushed and can tell the story the way it’s meant to be told. And, most importantly, it will ignore the movie, which was cast really well, but ultimately was a huge mess. No word on when The Dark Tower will go into production or find its way onto your Amazon service, but with the leads cast, it’s all barrels firing from here.